He’s crossed deserts and mountains, traversed forests and plains. And come November this year, 56-year-old Alain Esseiva will stoically conquer the ice in Antarctica. Just about 250km of it. On foot. It’s only natural progression for Singapore-based Esseiva, who’s CEO and co-founder of Alpadis Group, a Swiss fiduciary services firm that has offices in 4 countries worldwide. He’s been hitting up ultramarathons around the globe for 9 years. Antarctica will mark his 10th. The popularity of the ultramarathon – by definition any marathon longer than the standard 42.195km – has surged over the last ten years, with a reported growth of over 1000% in the year ending 2017. These mega-scale endurance events often span several days and base camps, and have gone from casual walk-in affairs to immensely anticipated and oversubscribed highlights of the year. 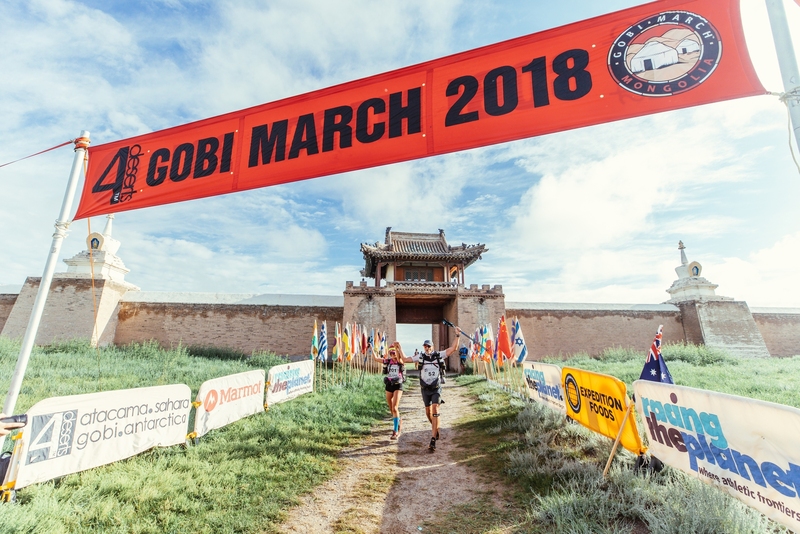 Esseiva is fresh out a 250km, 6-leg race in Mongolia’s Gobi Desert, where he raised US$10,400 ($14,320) for the Hong Kong-based Child Welfare Scheme (CWS) through a campaign on LinkedIn. 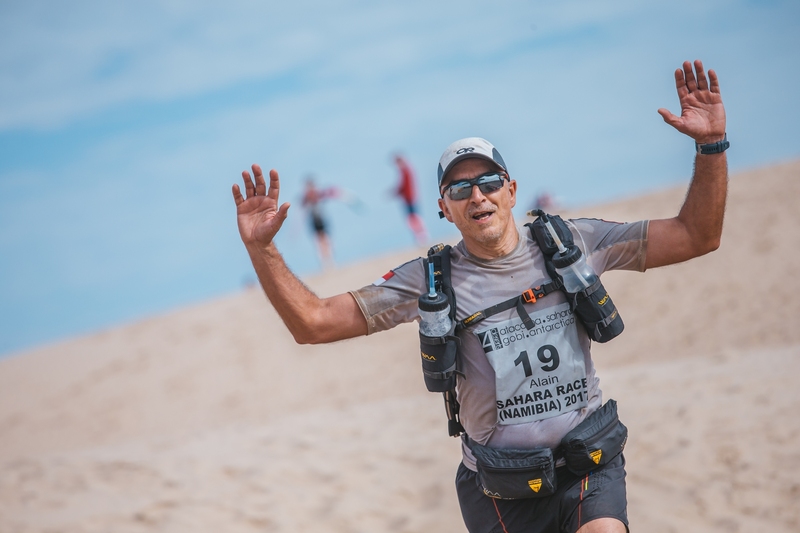 A month from now, the tireless runner will take on the Antarctica challenge – aptly titled “The Last Desert” by series organiser RacingThePlanet. One might imagine Esseiva’s been a lifelong running fanatic, but it’s a sport he only really picked up on moving to Singapore in the 2000s. From hobby to phenomenon: the ultramarathon craze is literally and figuratively sweeping the globe. Among Esseiva’s first athletic passions was mountain biking – a hobby that, obviously, wouldn’t see much mileage in urbanised Singapore. He made the gradual switch to swimming and running (he still begins each work day with a run). It was an old pal that talked him into joining his first ultramarathon in Vietnam, 2009. The entire affair would take a gruelling six weeks off his year, cross-training and familiarisation included, but Esseiva was game. “It turned out to be a nightmare!” exclaims Esseiva. Tornadoes had just swept through the region and the paths were hastily rerouted. “Day number was okay – about forty clicks all told,” he recounts. “Day number two – my legs.. my calf was swollen. It was terrible.” Despite the tribulations, the then 47-year-old powered through to complete the marathon soon found himself signing up for more. Conquering elevation mandates the use of walking sticks. With terrain as unforgiving and sometimes impassable as in Antarctica, some may wonder how the participants are going to clock the full distance. ” Antarctica is indeed a big continent, and there are quite a few “islands” around. The boat is base camp – that’s a big advantage we get in this race, so we’ll sleep on the boat, we have cabins, and food will be prepared (in between legs), there are showers,” chuckles Esseiva. There’s levity, of course, only because it’s a far cry from the usual ultramarathon where participants have to be far more self-sufficient. The ultramarathon commences 23 Nov barring delays. We cull some wisdom from the man before he embarks on his 10th adventure. Do not think too much, says Esseiva, don’t hesitate before signing up. Discard doubts like “am I well-trained enough” and commit to the deed. Depending on your feet, blistering may or may not occur – but a good pair of fresh socks, changed daily, are crucial to reducing this occurrence and wear on your toes. Esseiva uses socks from Japanese brand Injiji – toed versions performance-engineered for runners. Obviously, go for lightweight options. You’re going to be carrying this weight, however small, throughout the race, so you want it as negligible as possible. Prioritise according to the expected weather. Don’t expend all your energy on day 1 – it’s a marathon after all, and it stretches over 3 days. Pace yourself and reserve strength so you can greet the finishing line. Wanderlust has been key to Esseiva’s motivation in signing up for new ultramarathons. Beyond pounding the gravel or dirt in a completely new landscape, it’s a unique way to travel and experience new cultures. Meeting – and becoming familiar with – members of the running community is always fascinating, too – Esseiva says that meeting professionals such as lawyers, bankers and journalists from all over the world is a great dose of perspective.